Gunsmith converted M.T. Wickham Lock. 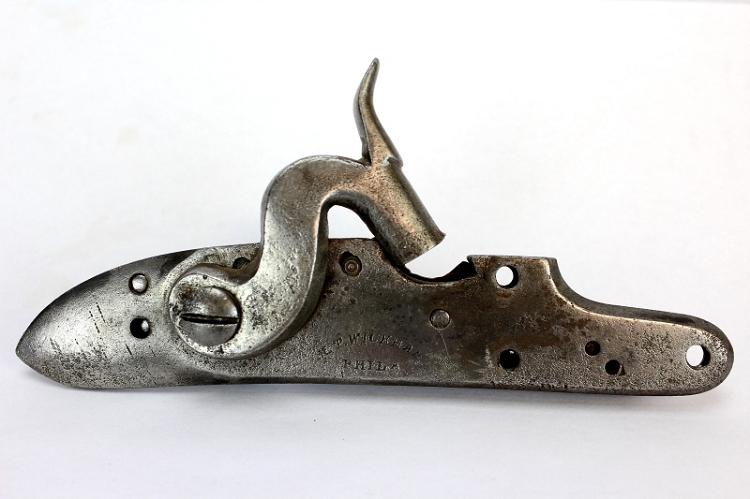 This lock is missing it's sear and has a period-made, gunsmith style hammer added. H. KEITH is stamped into the back of the plate.